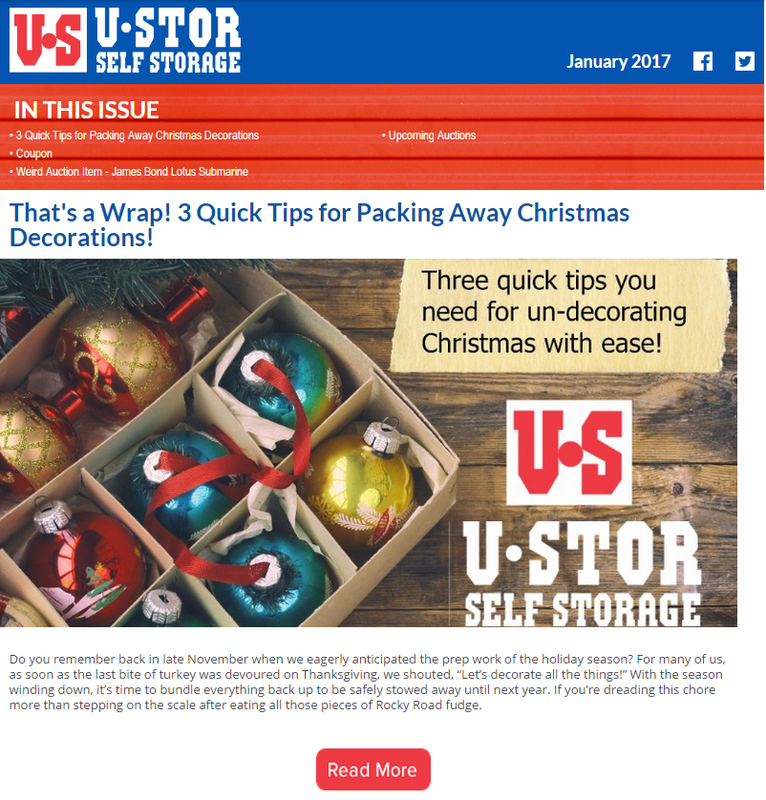 Home » News » January Newsletter – 3 Quick Tips for Packing Away Christmas Decorations and MORE! That’s a Wrap. 3 Quick Tips for Packing Away Christmas Decorations – Do you remember back in late November when we eagerly anticipated the prep work of the holiday season? For many of us, as soon as the last bite of turkey was devoured on Thanksgiving, we shouted, “Let’s decorate all the things!” With the season winding down, it’s time to bundle everything back up to be safely stowed away until next year. 15% off Boxes – Time to pack away Christmas decorations! Get organized in 2017. Use this coupon to stock up on sturdy boxes and packing tape. Weird item of the month – Hint: “Spy” gear worth almost a million dollars.